A Best of Britannia showcase kicks off this week. 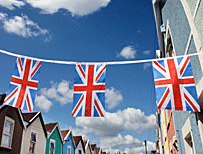 The exhibition aims to promote British companies that design or manufacture in the UK. Test yourself on British brands. In the late 1960s the then Labour MP Robert Maxwell launched a Buy British campaign. It included a record sung by whom? In 2006 Heinz announced HP Sauce would no longer be manufactured in the UK. Where did production move to? 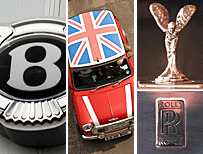 Classic British car marques Mini, Rolls-Royce and Bentley are all owned by German firms. But which assembles some of its vehicles in Germany? An example of which British product was voted best in the world in a competition in 2010? Designer Ralph Lauren caused controversy when it was revealed part of the US team's kit for London 2012 was made in China. 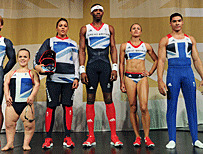 Which country did NOT make any items of Stella McCartney's Team GB Olympic kits? 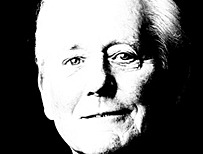 British guitar amp pioneer Jim Marshall died earlier this year. His amps were credited with helping to shape the rock'n'roll sound. But what was Marshall nicknamed by fans? Guns N' Roses guitarist Slash, Paul Weller and Motley Crue bass player Nikki Sixx were among those who paid him tribute when he died in April, aged 88. The Marshall Amps company is based in Bletchley, Milton Keynes, and is celebrating its 50th anniversary this year. 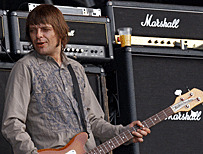 This picture shows Mani of the Stone Roses. Which of the following iconic objects from Hollywood films was NOT made by a British firm? It's Bruce Forsyth. The record sold just 7,319 copies. Some of the campaign T-shirts were also found to have been made in Portugal. It's the Netherlands. The decision came only weeks after HP launched a Save the Proper British Cafe campaign. It's none. One type of Mini - the Countryman - is assembled abroad, but in Austria. Chase Vodka triumphed in the 2010 World Spirits Competition, beating 249 rivals from around the globe, including Russia and Poland. Other British vodkas include Vladivar and Glen's. It's India. The Team GB kits were made in the UK, Portugal, Turkey, Sri Lanka, China, the Philippines, Indonesia, Vietnam and Thailand, according to Locog. He was dubbed "the Lord of Loud". He was also known as "the Father of Loud". It was the little black dress in Breakfast at Tiffany's, which was made by Givenchy. Marlon Brando's bike was a Triumph Thunderbird. Indy's hat was from London milliner Herbert Johnson. Find out more about British manufacturing history with BBC History.